Meredith Primary School uses different methods of communicating with parents about their child’s educational journey. Each Friday at 9.00am the whole school gathers together to celebrate the week. Individual students are presented with weekly achievement awards and parents and friends are invited to attend and join in the celebrations. Each class will rotate through presenting some of the learning that has taken place in the last week. Awards for each class, in line with our values as well as an Art and PE award will be presented. Mr Trotter also presents the ‘Principal Award’ to one students that has consistently shown all of the school values. A school newsletter is published each week and distributed electronically each Thursday. It is extremely important for parents to read the newsletter as it is our main source of communication between families and the school. The newsletter includes a Principal’s report, student achievements and activities, the school calendar as well as some local community news. Please download the Compass App to access on your smart phone or by logging into the below link. If you have lost your login details, or you are having trouble logging in, please see Belinda Gear in the office or Steven Trotter for support. Each child is given a diary at the beginning of the year to record the books they have read. It also serves as a great as a great 2-way communication tool between teacher and parent. 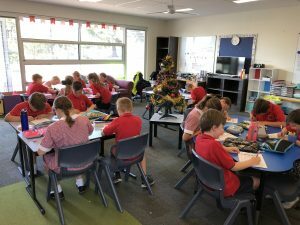 At Meredith Primary School we acknowledge the significant impact reading has on all other learning areas in the curriculum. Therefore we have set each student a challenge to read every night and track their reading to try to achieve 300 nights reading over the course of the year. The research around reading is unwavering, the better you are at reading and comprehension the greater improvements you will make in your learning. In 2019 ew will be moving towards electronic reporting. This will be published at the end of semester 1 and 4. Formal interviews are conducted in June, however parents are encouraged to organise an appointment with their child’s teacher to discuss their child’s progress at any time during the school year. If any problem arises, please contact the school immediately to arrange an interview or a meeting. 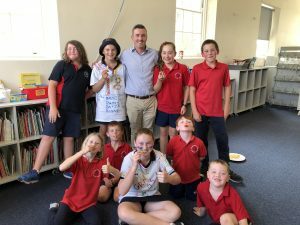 Meredith Primary School has a Facebook Page where information and photos are displayed about the day-to-day activities and events that occur at the school with the permission of parents. Visit Meredith’s Facebook Page for more information.